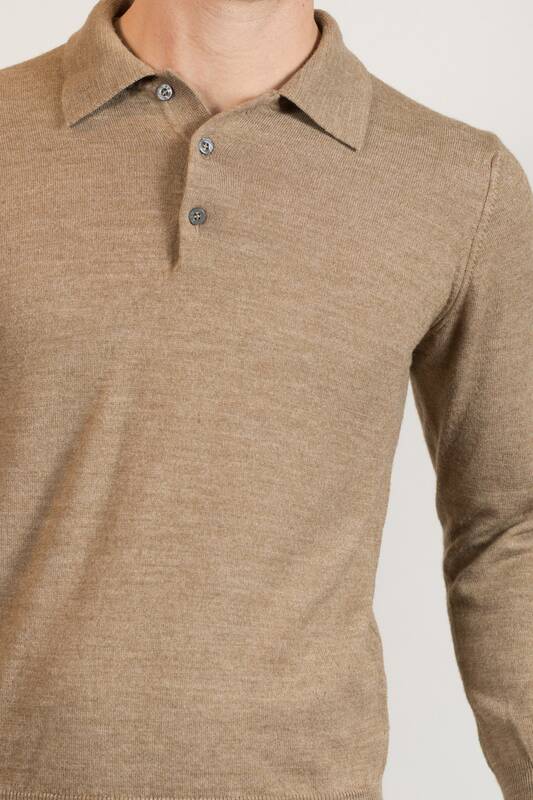 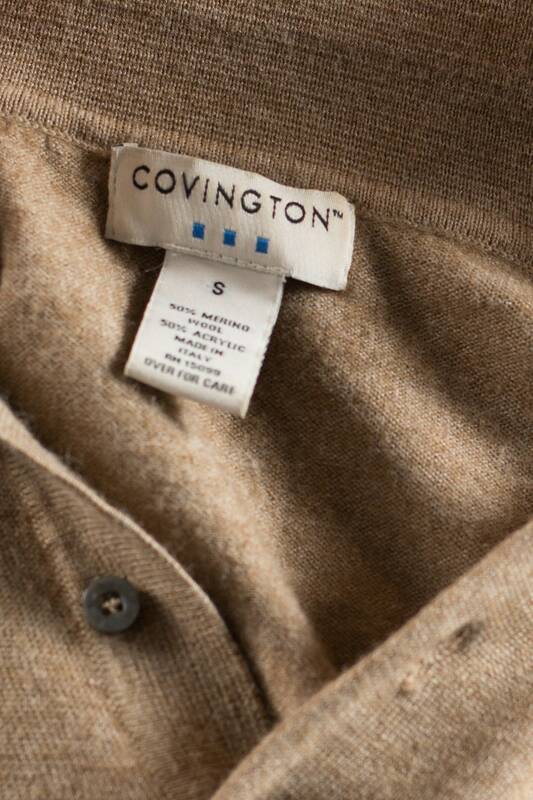 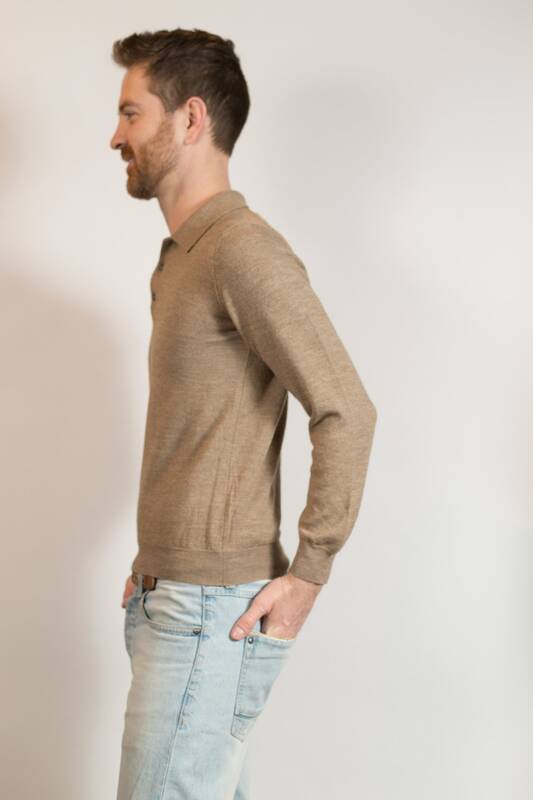 This is a classic vintage men's brown coloured merino wool long sleeved polo style knit sweater. 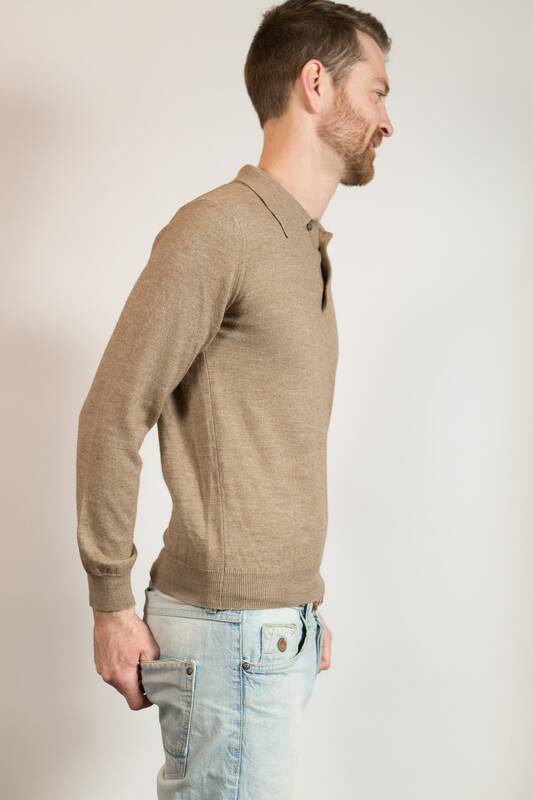 Fits Like: extra small (Model wears medium and is 5”11). 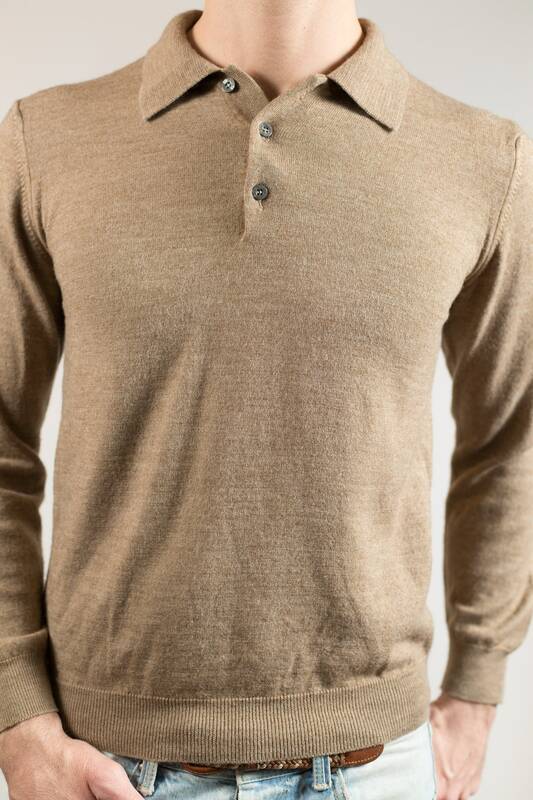 Material: 50% merino wool, 50% acyrlic.